Over Internet there are many pages dedicated to converting and downloading videos stored on the popular YouTube online storage website. Many of them dedicated to download the videos in the format that you want, but there are others exclusively dedicated to downloading audio. 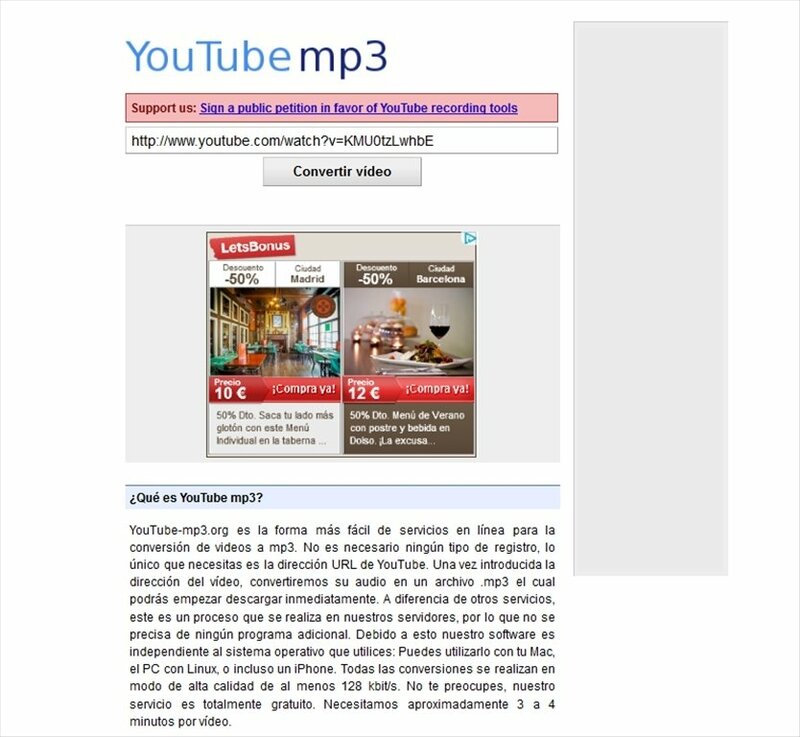 YouTube mp3 is a YouTube to MP3 video converter. The easiest way to convert video to MP3. Convert the audio of your videos of YouTube to MP3 and download the file on your computer. Webapp is very easy-to-use: copy the video URL address that contains the audio that you want and paste it on the page. Process carried out in services of the same application without any need for third party tools. High quality converter with a minimum of 128kbps. 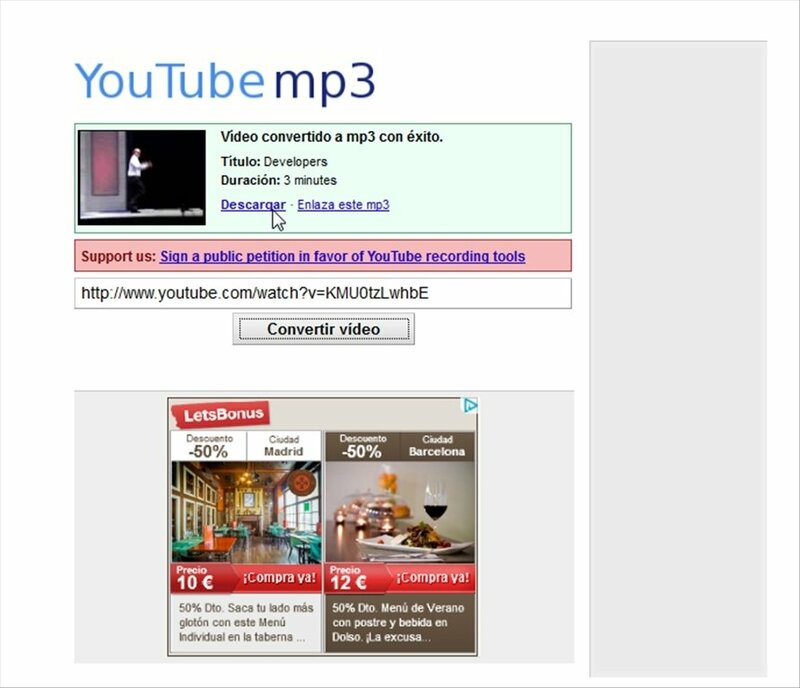 Enter YouTube mp3, paste the video URL and you will be able to convert your audio to the MP3 format. It had never been so simple to extract audio from YouTube videos!